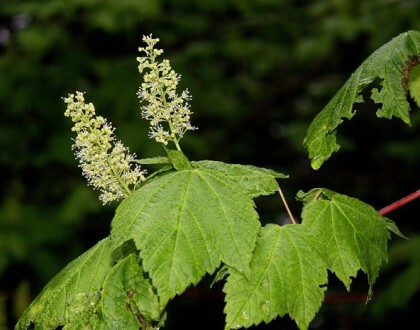 Mountain Maple is a small, multi-trunked, understory tree that thrives at high elevations. Small, yellowish-green flowers bloom in clusters on upright stems in early summer. Its leaves turn shades of yellow, orange, and red in the fall. Use as a specimen tree or in shady areas. Good choice for preventing erosion on steep slopes and stream banks. 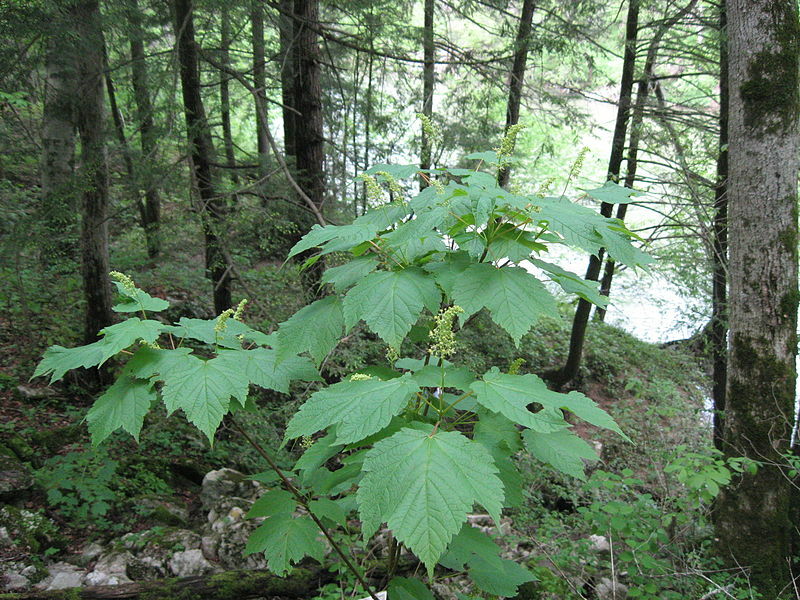 Mountain Maple may be difficult to find commercially. Tell your local garden center or nursery about your interest in this tree.